• Sugar Cookies scrapkit available for purchase at Nitwit Scraps. However, you can find a FTU if you wish not to purchase the kit. There are lots of Christmas its out there that have the bauble frame in kits. • Tube I used was by Jennifer Janesko and is available for purchase at CILM, but any tube will do also. • Filters I used were Xero Porcelain and Eye Candy 4000 Glass. • Font used was Cupiedoll, sorry it is a pay font so I'm unable to provide it..
3. Okay lets start with using the bauble frame, if using the kit I did it's tag_frame_maryfran and I re-sized the size of it to about 35%. 4. Now see how the inside is transparent? Let's put a paper background in there! I used paper titled bg_sparklestan_maryfran for this one. It gave it a nice subtle background I thought. 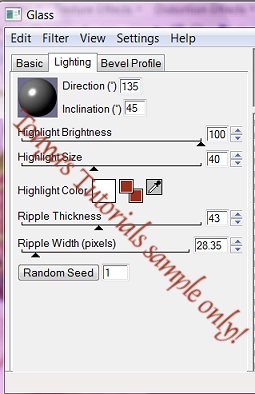 So take your magic wand tool, click inside that transparent area, expand by ohhh 10 and then invert your selection. Paste in that paper below that frame. Now as nitwits kits are full-sized, and not tagger-sized, I always re-size the papers 20%. Otherwise them sprinkles look like whole cookies! Once happy with the size, hit delete to remove everything but that circle we wanted to fill. Looks nice huh? DO NOT DE-SELECT. 5. Okay let's move on to place our tube in there as we still have our selection going to save some time. I took my tube and pasted as a new layer above the paper and below the frame. So it looks all nice and pretty in there, you may need to re-size your tube a little, depending on which tube you chose to use. Once happy de-select now. Now what I did is 'smoosh' down the frame just a tiny little bit, otherwise it's just a tad too long. Don't do too much though otherwise the bauble looks strange. Just use your deform too on the frame and smoosh the top middle down a little. 6. Okay now let's add our background for behind the fame. Click so that you are on your white background layer. Then paste a paper, I used bg_ltgreendots_maryfran for this one, but whatever works best for you. Again re-size 20% otherwise the dots are not so little hehe! Then I applied my mask, in this tut I used WSL_259, but that's also a preference of course. Once you've applied it, I re-sized about 70%. I did this so that it's just enough behind the roundness of the bauble frame. Once happy, merge layer group for the mask layer. 7. Alright now let's re-size the entire tag to make it be whatever size you'd like your finished product. I cropped all that excess white stuff off first and then I think I re-sized all 70%, but whatever you want it to be. 8. Click on your tube layer and sharpen (Adjust, Sharpness, Sharpen). I always sharpen after re-sizing my tag to keep the tube looking crisp. Feel free to sharpen any other bits of it you wish. Then I also applied the Xero Porcelain filter to the tube. I like to do that with the tube because it seems to make the tube stand out just a tiny bit and gives it a nice soft glow to it as well. 9. Okay now you want to add your copyright and watermark. Always want to give the credit to that artist. 10. Okay almost done! Just gotta do your text, this is painless I promise. 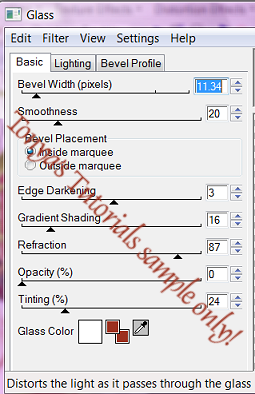 Go and choose your font settings, I chose Cupiedoll and size 100, stroke width of 2.5, kerning 0 and no bolding, but always use what you want of course, we all have our fave fonts. Oh and I used #9c301e for the color of the text. and the third tab I just used the "Mesa" setting. 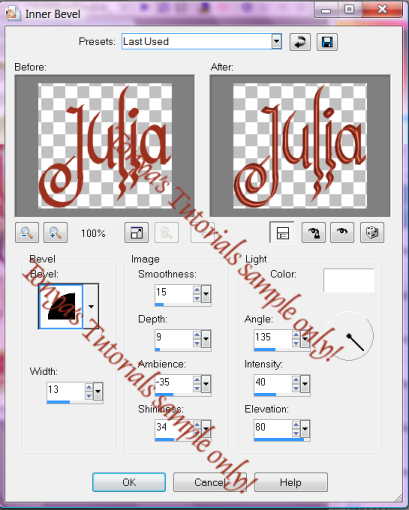 Then just apply a drop shadow of your choice, I used: 0, 0, 75, 8 and same color as my text.